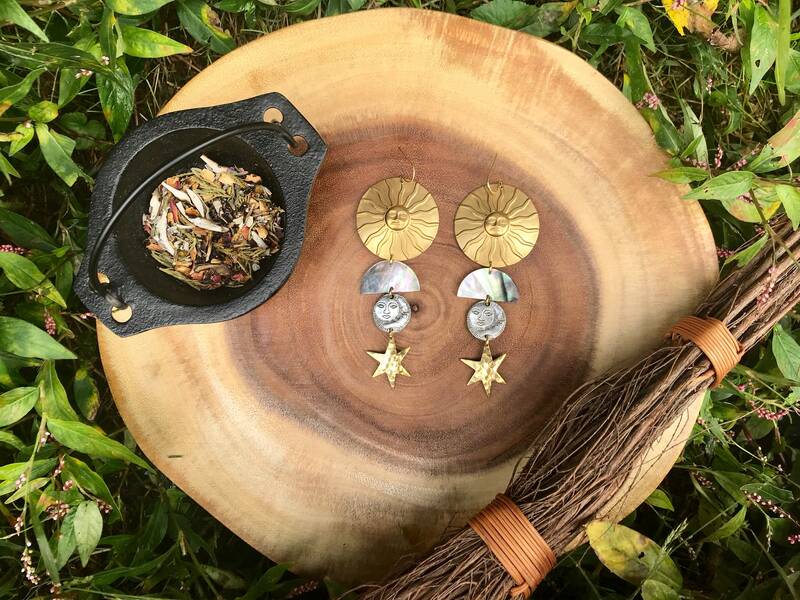 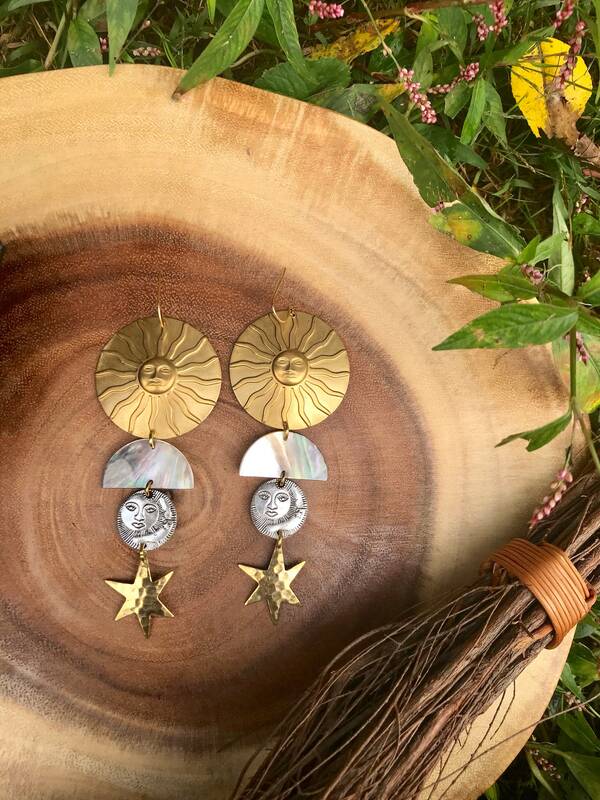 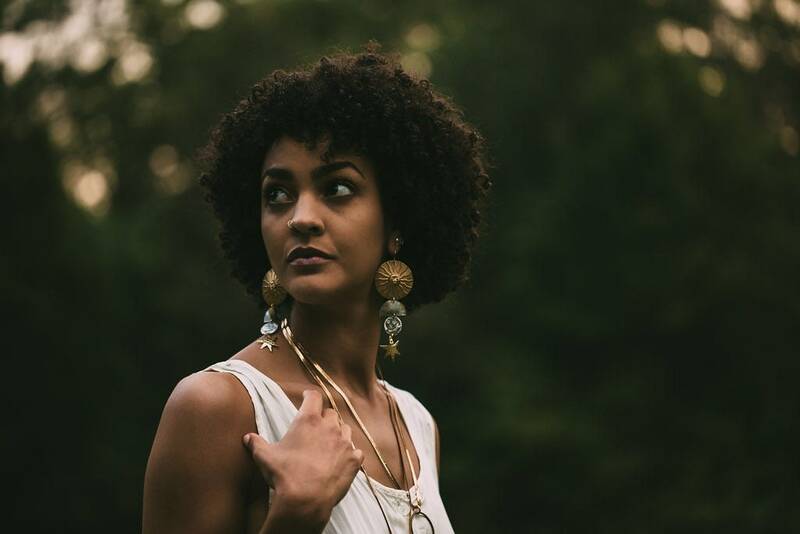 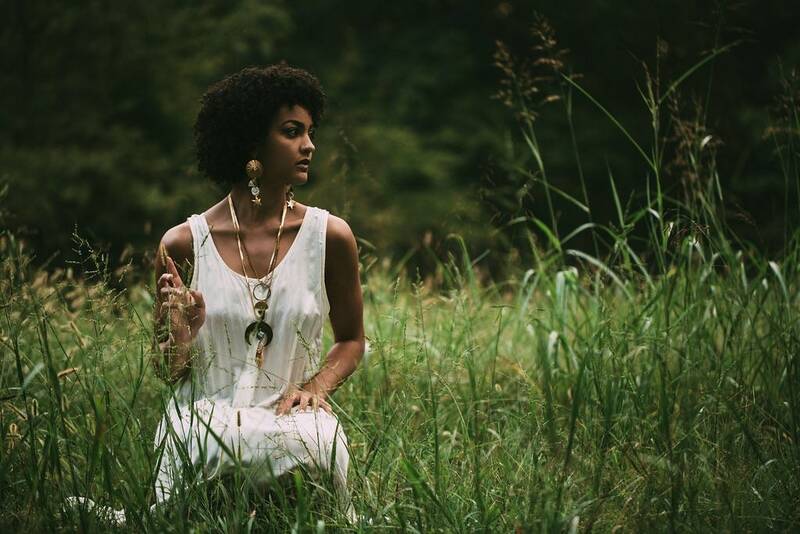 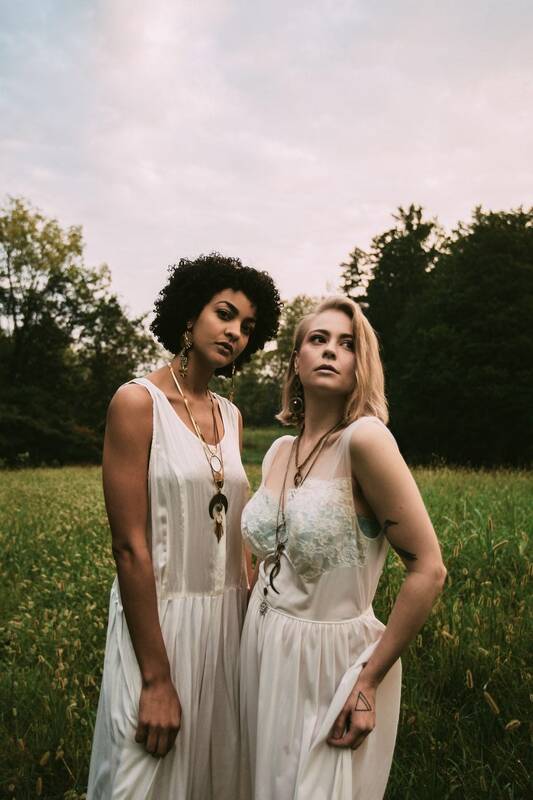 The Betsy Bell earrings feature vintage brass suns, gold plated stars, vintage 1960s silver tone sun goddess coins, and mother of pearl half crescents. 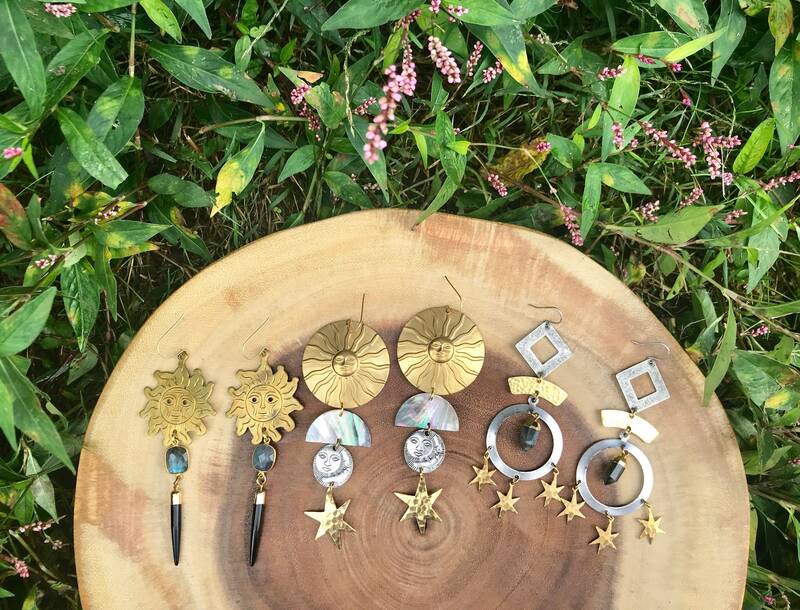 The earrings measure 4 inches long and are lightweight. 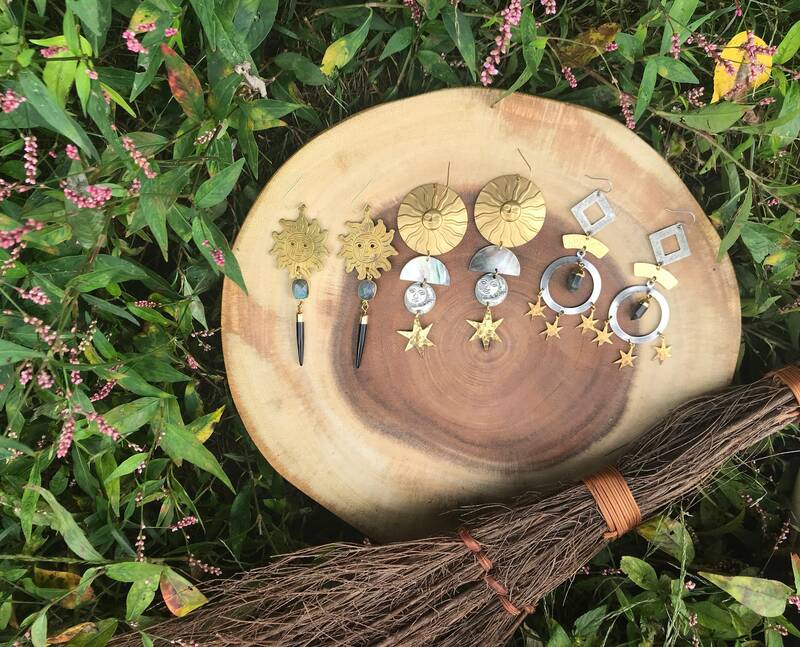 The ear hooks are gold plated and nickel free. 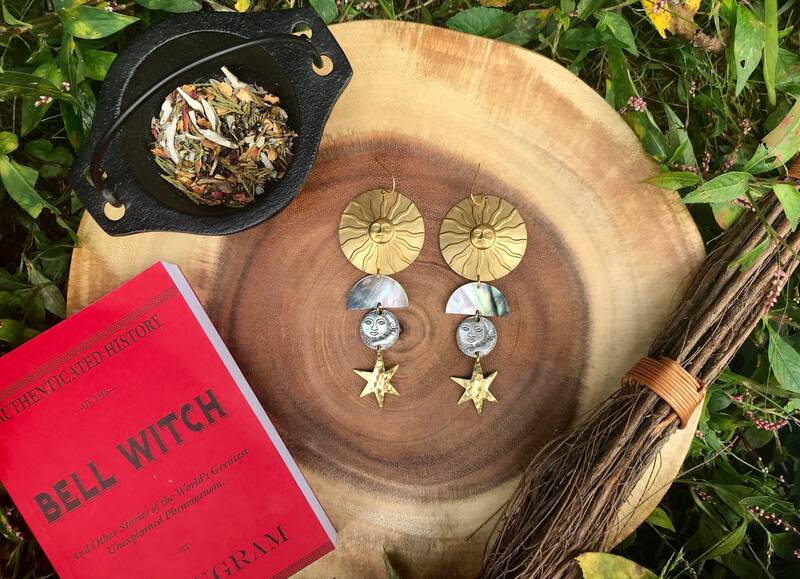 The earrings are named after Betsy Bell who was haunted by the Bell Witch in Adams, Tennessee.